Licensees are expected to know the laws and rules governing their professions and are expected to provide services in accordance with current regulations, codes, ordinances, and recognized standards. 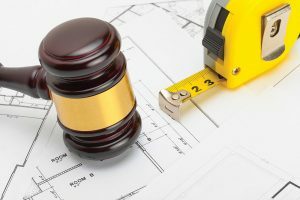 When appropriate, the Board has the authority to discipline those individuals and firms (licensed and unlicensed) that offer or practice engineering in Florida. The Board has the power to suspend, revoke, or refuse to issue, restore, or renew a certificate of authorization for a firm, or a certificate of licensure for an individual, or place on probation, fine, or reprimand any firm, professional engineer, or individual found guilty of violating Florida Statutes and Rules. FBPE’s Legal Department, consisting of the Chief Prosecuting Attorney, Investigators, and a Paralegal/Compliance Officer, manage the complaint and disciplinary processes. The department’s duties include review of complaints, coordination of investigations, preparation of Probable Cause Panel and Board meeting materials, preparation of administrative complaints and orders, litigation of cases at the Division of Administrative Hearings, handling appeals to the court system and assuring compliance with Board decisions. For more detailed information on how to file a complaint, review individuals currently being disciplined, and access Florida’s current laws and rules, refer to their sections under the Legal section of this website.